In January, Good Trouble premiered, and it has since hit the ground running forging a path of its own using the tools from its predecessor and taking on life and adulthood for Millennials and Gen Z. It's one of the hottest new shows of the year -- lauded for its gutsy approach to giving voice to the notoriously voiceless and its unapologetic exploration of social issues. The first season has Callie clerking with a judge of whom she has mutual respect but opposing viewpoints on a controversial case of a young black man, Jamal Thompson, unjustly killed by police. 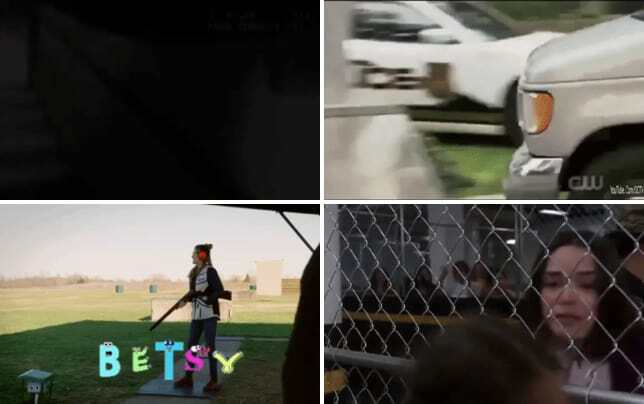 It's a storyline which consumes most of Callie's work storyline and involves her Black Lives Matter activist housemate, Malika who has become a support to Jamal's mother Sandra during the years since Jamal's death, and throughout the court proceedings. TV Fanatic was fortunate enough to chat with acclaimed actress Nicki Micheaux who plays Sandra Thompson about her topical storyline on the series, the provocative storytelling of Good Trouble Season 1 Episode 11, and more. Check out some of what we spoke about below! So, the moment I saw you in this role it instantly took me back to Lincoln Heights! It was a fantastic series, and I enjoyed how topical it was. Is that what attracted you to Good Trouble; how topical it is? Oh, yes, definitely. I mean that's what really excited me about the part. Getting to tell that story of, you know, the people who go through this, and the struggle, and also because they weren't going to make it just one episode. It was going to be ongoing and about how long these cases take to come about. It's about people who are living with it, and not only Sandra -- the family, but also the activist [Malika] trying to achieve something and the lengthy battle that real people are facing. Right. People forget. It stops trending, and no one thinks about it anymore or they move on. Also, there are so many other shootings.That's a shame. There's like, God knows how many shootings, like every month. Exactly! How important do you think it was for the series to focus on that part of the process? I think it was really important because it's showing what we don't see. We all see the videos and things, but this way, we get to see the ripple effects of how it impacts people's lives later. 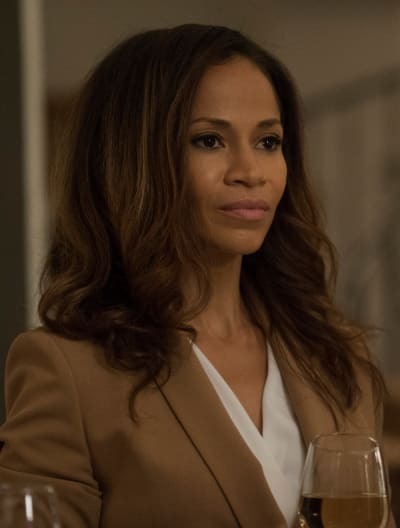 The case is ongoing, and Good Trouble Season 1 Episode 11 is the most that we've seen of your character so far. During the episode, Jamal's video leaked making disparaging remarks about black women. What can you tell me about that? I was so happy that they were dealing with this issue. It's very rarely dealt with on television. Save for an episode of Black-ish on colorism. For me, it was really powerful to be saying these words and talking about these issues because it's like that dirty little secret that we deal with in our community. And we're not the only community of color who has this issue with colorism. Colorism is so real and stupid, but it's alive and well today. It was refreshing to see how we would deal with this in such a raw way. It was raw. Typically, the focus is on the minor community versus the majority, and no one addresses the pervasive issues within communities like in this case, the misogynoir. It caught me off guard in the most pleasant of ways how the show chose to showcase this. One of the things that Mariana's character says during her Byte Club meeting is that they were going to deal with unequal pay and unequal pay in women of all ethnicities. She said they were going to deal with all of it; All of it right now. That's what I like about what Good Trouble is doing. We have to talk about all of this stuff. We're not going to save some issues for later. We as a society, we need to deal with these things because for far too long we've been pushing things under the rug and people are suffering. Like black women and their hair, all of these issues that we're addressing. Right, we saw that with Lena. She was straightening her hair and trying to have a certain look so she could be more accessible during her campaign. Yes, exactly. Accessible and less threatening, basically. These are things that every woman of color is dealing with, and we need to talk about it because if we don't talk about it, we can't get over it. We saw Sandra break down after the video. She wondered how she didn't see Jamal's issue with black women, and she was sort of blaming herself. What was it like filming that? It was a very powerful scene. One of the things about working with writers who are so honest and authentic, it's easy to allow yourself to go there. You know you're speaking the truth of so many people. I mean, how many girls have come up to me and talked to me about the things they go through and the way they feel? One of the reasons I'm so proud of Lincoln Heights; there were so many people happy to see a chocolate girl in that role. I'm always meeting women who are still talking about the impact of that show for them, so when I'm saying these words as Sandra Thompson, I know I'm speaking the truth and the pain of a lot of people. It's very easy to be open to it because I know it so well. I'm honestly happy to be able to give voice to it. I think one of the things as storytellers is in sharing our collective pain, it, ideally, allows us all to grow. I agree, often the focus is on making it more palatable for the masses and most shows barely scratch the surface, but Good Trouble gets straight to the point. It was also powerful to me that it touched on mothers and how much guilt we have. For Sandra, it's hard enough losing her child and feeling like you missed something or had some error in your ways. Mothers and their children -- trying to do the best she can to raise her child -- it was powerful for me to be able to talk about it. Being a woman is a complex thing [laughs], and I love how Good Trouble gets all into the messiness of it. The relationship between Sandra and Malika is interesting. It seems Malika is lacking the mother figure and Sandra is the maternal figure for her. Yeah. That's exactly that relationship, you know? Sandra lost a child, and Malika lost a mother or doesn't have a mother figure in her life, and they found each other in the midst of this tragedy. And there is a bond forming between them, and this is the first episode where you get to see Sandra is willing to let down her guard, and you see how quickly she pulls it back up. It's hard to let down that guard and be vulnerable and open yourself up and say you need someone. I think watching these two women travel this road together is really -- I love the experience of seeing it. It's beautiful to see it with women who are not related -- strangers coming together and being willing to be open and finding a connection. It goes back to The Fosters main premise of DNA not making family and creating your own family. 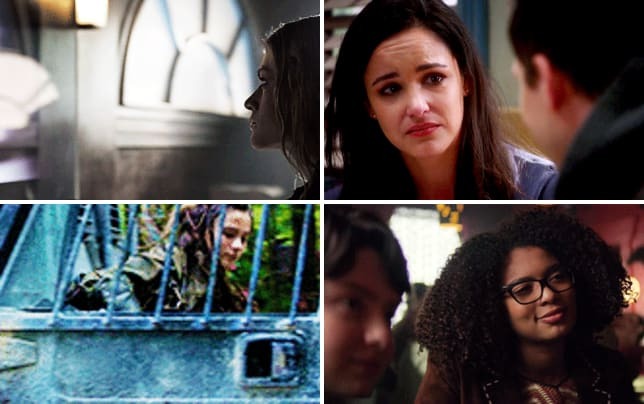 They have carried that same vibe over to Good Trouble and with the sisterhood. It's a give and take with the case and small victories along the way. Will we get a resolution to the case by the end of the season? You have to keep watching. Good stuff coming up. The Good kind of Trouble? I have another show called In the Dark that I'm recurring on. It's on The CW, and what's really fun about that is I'm playing the bad guy. This one I'm playing the bad guy, and it's really so much fun. That one premieres April 4, and it's another sort of mystery. You have to watch to see how all things unfold. It's a big whodunnit, but I think it's a really fun show. Since this is TV Fanatic, I have to ask. What are you watching? You know, I was late to the Game of Thrones party. I couldn't watch it in front of my kids. I think I'm on season 5 now. That's been my latest thing, and I'm really upset that Andrew Lincoln left The Walking Dead, and Danai is off doing Black Panther movies, so she isn't around as much. What is going on?! I still love the show, but then they kill everyone. I've been upset since Glenn died. Yeah, I bowed out around then, myself! I think It's so dramatic when you get caught up in the characters, and then they kill them, and I can't go on. And the new show we love is Whiskey Cavalier. It's so oddball! You can catch Nicki Micheaux as Sandra Thompson when you watch Good Trouble online here via TV Fanatic. You can also find her on the upcoming In The Dark Thursdays on The CW. 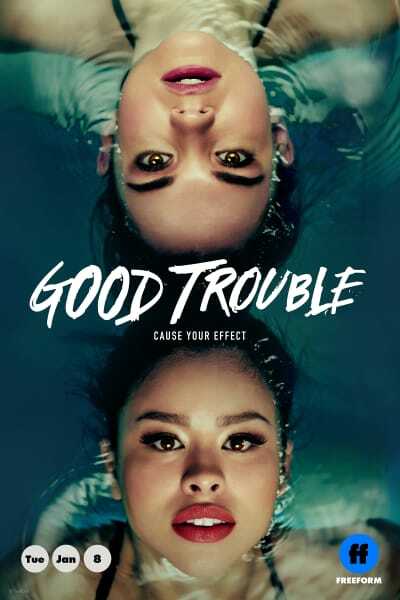 Tune into Good Trouble Tuesdays on Freeform. I thought the free toilet paper would he a nice perk. I had no idea how much people would overwipe. You wouldn't believe it. I hope you guys are eco-friendly. Both: We're straight up fire! Permalink: We're straight up fire! 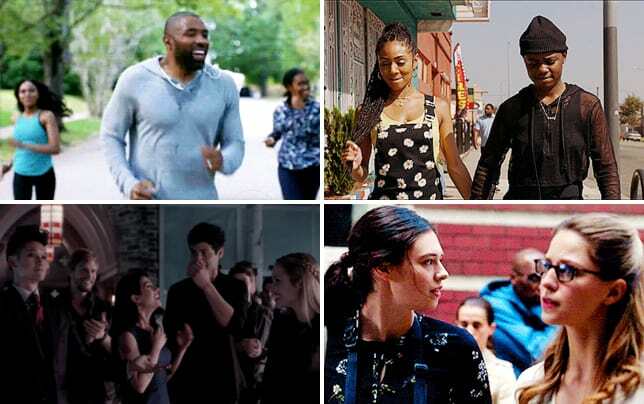 Good Trouble Finale Promo: Who Will Callie Choose (Or Whatever)? Good Trouble Promo: Is That Brandon?!?! Good Trouble Promo: Noah Centineo Has Arrived at The Coterie!